Housing Woes Grow as Prices Slump Nationwide A federal report finds that housing prices were flat this spring and could be heading lower. Economists say the recent news is evidence that the real estate slump will be more prolonged and widespread than predicted. 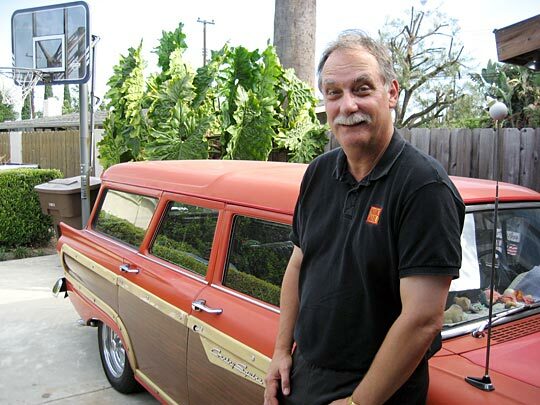 A few years ago, Bob Clayborn of Garden Grove, Calif., considered taking out a large home-equity loan to pay for his daughter's college education and to fix up one of his cars. He has put that plan on hold. A federal report that has shown home prices rising steadily since 1994 now finds that they were flat this spring and could be heading lower. Another barometer of home prices out this week — the S&P Case-Shiller index — had its steepest drop ever. Economists aren't panicking over the news. But they say it's striking evidence that the real estate slump is turning out to be more prolonged and widespread than predicted. And it's going to be a bigger drag on the overall economy over the next year. People in the real estate industry like to say that housing markets are local. When prices were rising, many argued that there wouldn't be a real nationwide housing slump, or bursting bubble, because when prices fall in some neighborhoods, they rise in others. This time, though, things are different — especially in larger metro areas. Bill Cheney, chief economist for John Hancock Financial Services, agrees that housing markets are local. "But what's so remarkable about this cycle is that we've had this synchronized boom and bust across so much of the country," Cheney says. "Almost all the big metro areas saw prices run up. And almost all of them have seen prices come down now. " The closely watched S&P Case-Schiller housing index earlier this week spooked Wall Street when it showed a sharp drop in home prices — down more than 3 percent in the second quarter alone. Karl Case, a housing economist who helped develop the 20-year-old index, says it's the largest price decline since the inception of the index. The boom was fueled by the lowest interest rates in 50 years, which enabled people to pay higher prices for homes. At the same time, lenders became aggressive and sometimes careless. And suddenly, growing numbers of home buyers were taking out exotic and risky loans. Tami Amato is one of them. In 2005, she bought a modest two-family home for herself and her three children in Boston's Dorchester neighborhood. She bought the home with an adjustable rate loan that was fixed for just the first two years. Amato says she could afford the initial 6.4 percent rate. And she says her lender promised her the loan payments would never go up, because she could refinance before they did. But she says that wasn't true and that the interest rate rose to 9.4 percent. "I thought, 'I can't do this,'" Amato says. "It was just too much money." Today, Amato's house is full of moving boxes and almost devoid of furniture. Afraid that the bank is going to foreclose any day, Amato has been moving her belongings into storage. A huge wave of these risky mortgages is starting to adjust sharply higher. Many economists now estimate that between 2 million and 3 million people will lose their homes. As those homes come back on the market, they will add to the housing glut. Meanwhile, tighter lending standards will mean less home buying and less construction spending. Case, the economist, says it appears as if the economy is going to slow substantially more than people originally thought. One of the big concerns, he says, is how average consumers will react to falling home prices and the lending industry turmoil. Bob Clayborn of Garden Grove, Calif., is a manager in the printing industry. 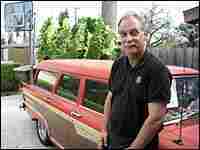 A couple of years ago, he considered taking out a large home-equity loan to pay for his daughter's college education, with about $15,000 left over to fix up his car, a 1959 Thunderbird convertible. Now, he says, he can't afford to do that. Clayborn is borrowing the college money, but putting the car project on hold. Some homeowners can't borrow against their houses because with home prices falling, they have already maxed out their equity and can't get another loan. But in Clayborn's case, he just doesn't want to pay the higher interest rates on home-equity lines of credit, which have nearly doubled since 2003. "I've been in this house for 20-some-odd years, so I've got a ton of equity built up. If I see interest rates come down back around 6 percent, I'm going to be right back in front of that loan officer, renegotiating my deal and getting my car fixed," Clayborn says. That's one of the reasons many economists are not too worried. The new federal numbers out Thursday show that the median national home price is still more than 50 percent above where it was just five years ago. They say that is bound to keep many consumers feeling confident. Also, while the housing correction has been broader than most others — bringing down prices in most metro areas around the country — it hasn't been as severe a downturn in terms of price drops. In past cycles, individual regions of the country have seen much sharper crashes in home prices than they are seeing so far during this one.